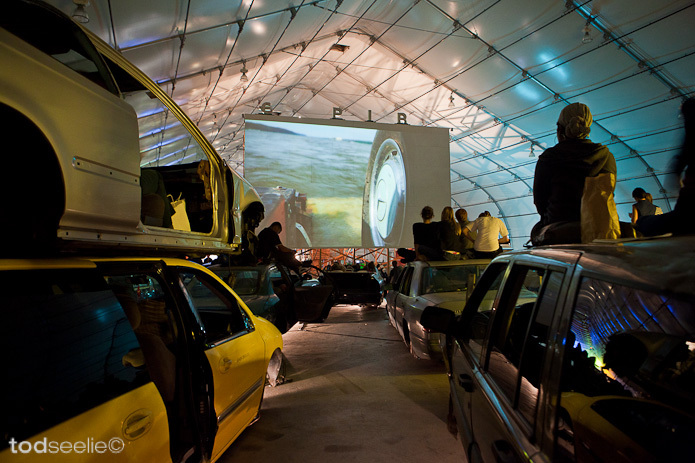 Photos from a recent project I was a part of, the Empire Drive-In installation, which was included in the San Jose Biennial. 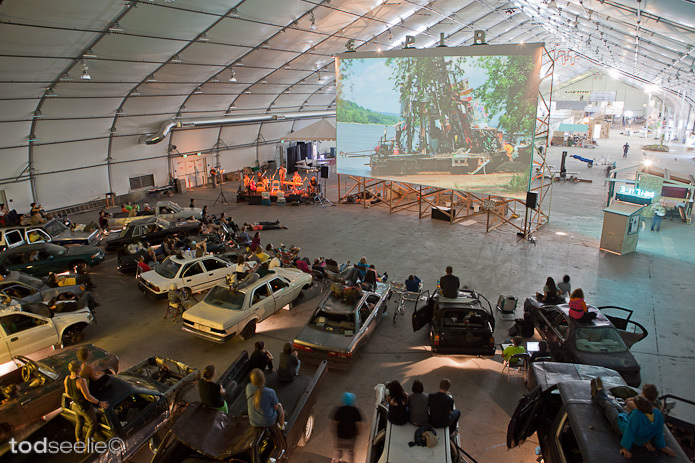 The project was a "post-society" drive-in theater made of junkyard cars (some stacked two high) with working radios, complete with a neon-lit ticket booth and concession stand. 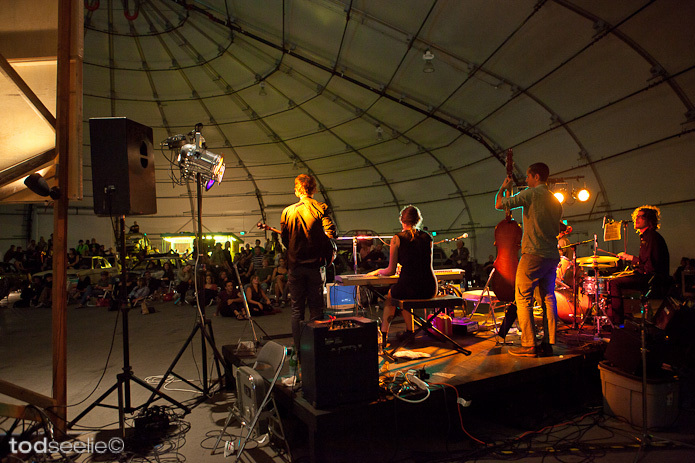 Conceived by Todd Chandler and Jeff Stark, the installation served as both a stage and screening area with films and performances by Dark Dark Dark and Zoë Keating of Rasputina. In addition to helping build and light the installation, I also lurked around during the installation with my camera. Here's a bit of what came of that.